With their follow-up mixtape, Sit Down, Man, Das Racist continued to gain respect as true lyricists, moving further away from both the “joke rap” label and the often equally irksome “conscious” one. However, this is not to say they don’t clearly embrace the power of humor, without sliding down the slippery slope of making actual novelty music. 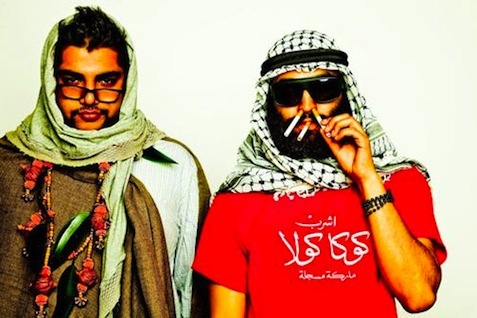 As Heems says in one of the most brilliant and hilarious interviews of all time, “All I wanted to do was make some jokes – mostly about race, though not necessarily consciously – over dance music that would serve to undermine it so Talib Kweli fans wouldn’t like it.” With their two mixtapes and the full-length debut album, Relax, Das Racist is proving to be no joke, even if their live show is a little bit like House Party 2. After writing this column for two months now, it’s about time I finally got around to profiling an artist from the city where I now live, the city where Hip-Hop originated, the city that never sleeps and should never be slept on: New York City. 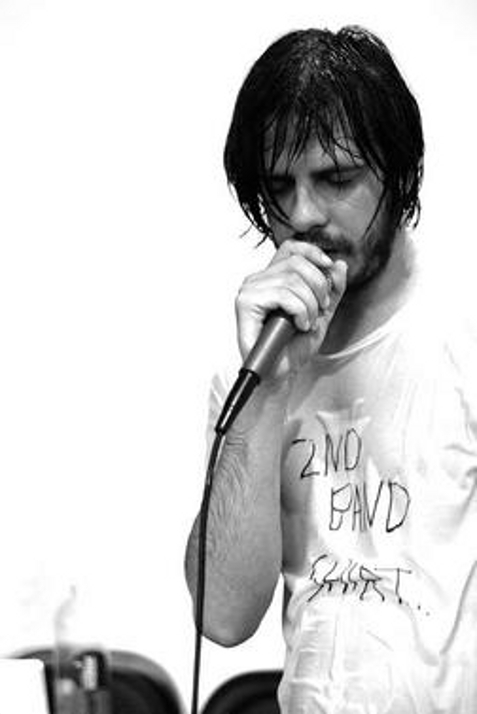 No underground NYC rapper is more deserving than Rugged N Raw, whose name says it all. RNR is an amazingly versatile and accessible emcee and producer whose music exemplifies the gritty edge of his native city, while also retaining a surprising wittiness and sense of humor. His sound punches you in the face, then cracks a joke or two and makes you feel welcome while you’re still reeling. RNR’s first full-length album, Another Level, set the tone for the hard-hitting but simultaneously laid-back music he’s been making ever since. As he says on that album’s “Let the Ugly Out,” “[I’m] more chill than the average dude you know / But when my music’s dope, I get stupid, though.” He also gets crazy smart; witness the creativity of his “Advice Column,” in which he humorously breaks life down on an urban Dear Abby tip. Another Level also features “Kick You Down,” a banging track with frequent collaborator Hasan Salaam, a New Jersey emcee with whom RNR formed the wonderfully named group Mohammad Dangerfield (Mo Danger for short). Together, the duo released the free download EP $FREE.99 and subsequent self-titled full-length album, which features the excellent party jam “The BBQ Joint” alongside hard-hitting tracks like “Unredeemed” and the Immortal Technique collaboration “Break of a Star,” produced by the excellent New Hampshire producer Remot. RNR’s second full-length, Truth Serum, continues to showcase his inimitable skill and relatability. Check out the recession rap anthem “Broke and Proud,” featuring Hasan Salaam, in which he outlines his cheap date and vacation plans: “There’s not a lot I can make possible / Only cheap ideas in the arsenal / I take a chick to the museum / Looks nice and admission fee’s optional / When stress starts to weigh down heavy / Vacation is necessary / What do I do? I pack my bags / Weekend cruise on the Staten Island Ferry.” For those of you who don’t live in New York – yes, the S.I. Ferry is free. Be on the lookout for Rugged N Raw’s new album, Anomaly Book 1, dropping September 4th. Homeboy is the ultimate. Orlando’s Madd Illz is the definition of a beast – an insanely ferocious emcee who spits intricate but accessible, rapid-fire, multisyllabic rhymes that absolutely demand you press rewind over and over again. He could undoubtedly hold his own up against cats like Twista and Tech N9ne for the title of fastest rapper alive, and he boasts an extremely versatile flow with an impeccably crisp, clean cadence and perfect rhythmic timing. He’s also one of the kindest, most supportive rappers the global Hip-Hop community has to offer. Illz was born to do this; in fact, his birth name, Matt Hills, practically is his stage name. He’s also the living embodiment of the idea that battle rapping, however mean-spirited, is really about building community, not just tearing another emcee down. For evidence of this, look no further than GrindTimeNow, the world’s largest Hip-Hop battle league, which he created and owns. With divisions ranging from Orlando to Chicago, Atlanta, New York, California and more, GrindTime challenges emcees to bring their best, most intricate and cleverly constructed punchlines to the table. Written verses are openly accepted and expected, but the best GrindTime rappers stay on their toes with sharp freestyles as well, flipping their opponents’ punchlines back at them. 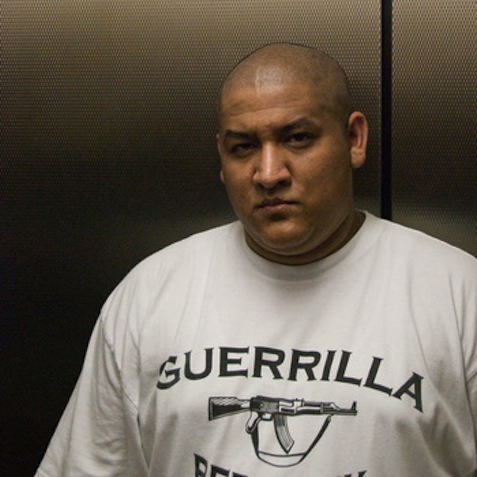 Though few of them are nationally famous, one of GrindTime’s best battlers, Dizaster, recently beat the legendary Canibus in an instantly infamous battle, and battle rap phenom Jin has also participated in the league. Speaking of freestyle rap, Madd Illz is one of the sharpest you’ll ever see at it, and he’s often at his best when allowed free reign to riff on any topic that comes to mind, rather than being tied down to the focus of a battle. The speed of his delivery isn’t weakened by the lack of pre-written material, either, as he displays a remarkably extensive rhyming vocabulary and enviable endurance for long-form flows. I’ve seen him go off for several minutes straight multiple times in any given show without repeating concepts or rhymes, and always ending his extemporaneous verses strongly, rather than just trailing off when he runs out of ideas, as so many freestyles end. 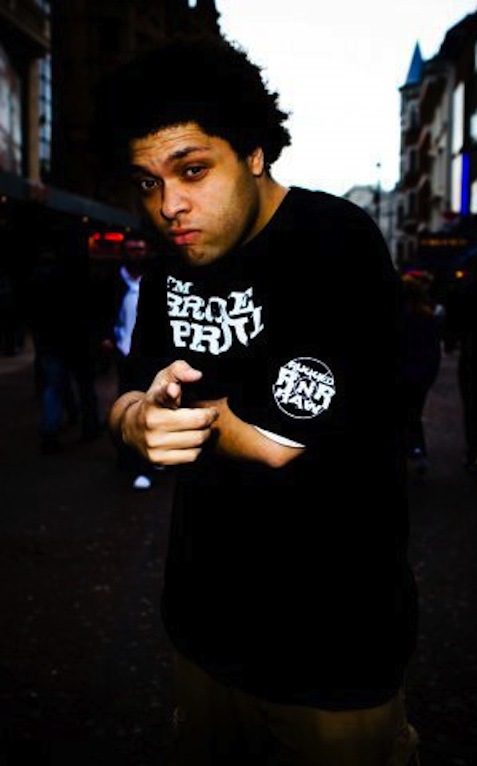 In addition to freestyle and battle rap, however, Madd Illz is also an excellent songwriter, with diverse topics ranging from the personal (“If I Get Famous”) to the political (“Be A Patriot,” “Sick of the Lies,” “Katrina”) to his love of the art form itself (“Music”), as well as songs simply showcasing how sick he is as a rapper (“His Name’s ILLZ,” “Put on By the Spit”). His sharp, autobiographical anthem, “Underground Hip-Hop” could also serve as a statement of purpose not only for this column, but for any up-and-coming emcee, as well as veterans who may have lost their way. Fierce, uncompromising and wise, Madd Illz is at least as deserving of mainstream success as any underground rapper out there, but he would never sell out his vision to get it. Ladies and gentlemen, the line for Single of the Year starts here. So the tune is definitely a keeper. Now about about the video? Tastefully simple, a rarity these days. The camera spins around – and sometimes above – a circular display of white lights that surrounds the band. That’s it. I bet they shot it in an afternoon, then hit the pub, while the director popped a couple Dramamines and went to bed. Nicely done, lads.